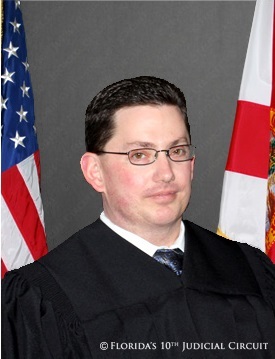 Judge Gerald Hill has dismissed a lawsuit in Florida because the Plaintiff was unable to hear the Defendant. Judge Gerald Hill said he was busy. I have abused people email me daily with their story. I received an email saying that a judge dismissed a case because the Plaintiff was unable to hear the Defendant. That's one of the stranger stories I've heard, so I asked to see some documentation. Yes, bizarre but true. 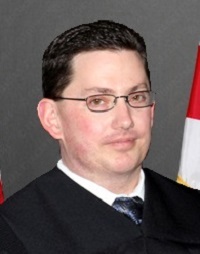 Judge Gerald Hill dismissed a case due to difficulty hearing (with ears). Alison Anderson lives and works in Washington State, but she had to file a lawsuit in Florida. She was representing herself. A Pre-Trial Conference was scheduled. Alison asked if she could have a phone hearing. Kimberly Jenkins, Judicial Assistant to Judge Gerald P. Hill II, told her it was possible, but in order to be granted permission to appear over the phone, Alison would have to request it in writing. So, she did. Kimberly Jenkins called Alison on August 9, 2016 and said that she could attend via phone. Alison then said, “So, now I have to start all over and all of the money I paid for my lawsuit is just gone?” Judge Gerald P. Hill II said “Case dismissed, have a nice day” and hung up the phone on Alison. The Docket shows “case dismissed for plaintiff failure to appear in person at pretrial conference.” The Docket also shows that “Plaintiff filed a request to appear by telephone.” The case was dismissed because Alison couldn't hear. Well to be precise, the case was dismissed because Judge Gerald Hill is an a$$hole who loves to throw his weight around because he knows he can get away with it. Alison filed a motion for a new trial, and Judge Gerald P. Hill II denied it without explanation. Alison argued: "I can't find any rules or case law to say that a judge has a right to dismiss a case due to difficulty hearing someone on the telephone." A mother of two small children must now scrape together more money to file her lawsuit again. She'll get the same a$$hole. Now, if you aren't aware of this, there are VERY FEW honest judges anywhere in America. Judges do whatever they want to do for whatever reasons. There is no accountability. They lie and cheat and ignore the facts and the law. If you have ever felt you might have been abused in a legal matter, there's no MIGHT HAVE. You were.